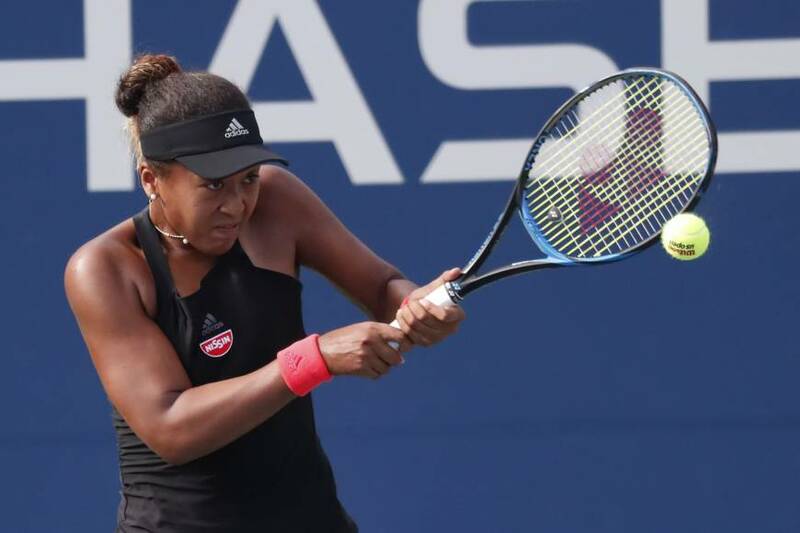 NEW YORK - Naomi Osaka says she still needs to improve her game despite breezing into the last 16 of the U.S. Open with a virtually flawless victory over Aliaksandra Sasnovich of Belarus on Saturday. The 20-year-old said she had yet to play the best tennis of her career after making just three unforced errors in a 6-0, 6-0 drubbing of her third-round opponent. “I feel like I can always do something better. I feel like that’s one really good thing about me but also something negative, because I’m never satisfied,” Osaka said. The match started competitively with Osaka defending four break points in the opening game, but the world No. 19 quickly took control against her 33rd-ranked opponent. 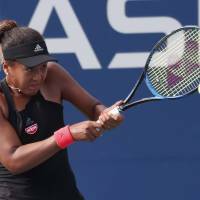 Osaka, who claimed her first WTA title at the BNP Paribas Open in March, said she had worked to overcome a tendency to lose focus after jumping out to early leads. “If I would go up 3-0 then . . . I would relax a lot and I let (my opponent) come back into the match, so I think for me, now that I’m able to beat people at easier scores like this, I think I’ve improved a lot,” she said. Having reached the fourth round of the U.S. Open for the first time, Osaka said she was not looking beyond her match against world No. 20 Aryna Sabalenka, also from Belarus. “I don’t really look at the draw, so I don’t even really know who I’m playing or anything. I think now I’m just trying to focus on one match at a time. I mean, I enter the tournament to win, but it’s not an immediate goal,” she said. In the men’s draw, Kei Nishikori also reached the fourth round with a 6-4, 6-4, 5-7, 6-1 upset of 13th-seeded Argentine Diego Schwartzman. World No. 19 Nishikori, who reached the final of the tournament in 2014, fought his way back from 0-3 in the first set to win six of the next seven games. After conceding the third set, the 28-year-old converted breaks in the first, fifth and seventh games of the fourth set to seal the match. “It was a difficult match against a tough opponent. I was also a bit stiff at the start, so I wasn’t playing the way I wanted. I got through it though and was eventually able to play some nice tennis,” Nishikori said. The former World No. 4 will face veteran Philipp Kohlschreiber in the final 16. He is unbeaten against the German in two previous meetings. World No. 2 Roger Federer is also moving on, and left the crowd in awe with the on-a-full-sprint, drop-shot-retrieving, flick-from-a-few-inches-off-the-ground, forehand-around-the-net-post, jaw-dropping winner he conjured up a few games from the conclusion of his 6-4, 6-1, 7-5 tour de force against Nick Kyrgios. The No. 2-seeded Federer moved into the fourth round at Flushing Meadows for the 17th consecutive time He’s won five titles at the U.S Open, although the last arrived a decade ago. Two seeded men lost in the afternoon to unseeded opponents: No. 4 Alexander Zverev and No. 17 Lucas Pouille. Zverev still has never made the fourth round at the U.S. Open after being beaten 6-7 (1-7), 6-4, 6-1, 6-3 by Kohlschreiber in an all-German matchup, while Joao Sousa defeated Pouille 7-6 (7-5), 4-6, 7-6 (7-4), 7-6 (7-5).